“Brick Replacement Service” was a delightful hand powered installation built for Dezeen Space in September 2011, for individually building ‘Reseeding Bricks’. 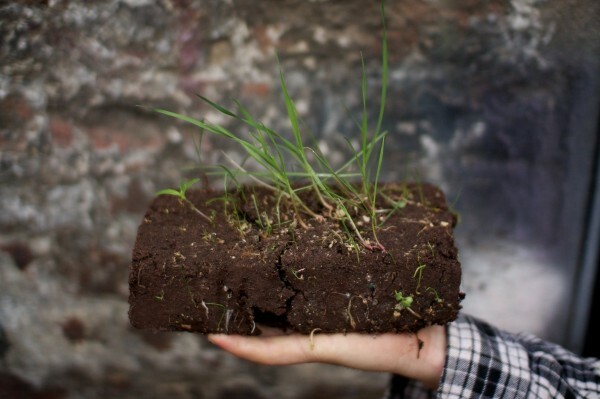 A Reseeding Brick is comprised of a soil and clay mix housing a multitude of seeds. It was envisaged as a replacement brick that encourages natural plant life and growth within the city. A beautiful, small intervention that promotes natural growth within the city, while also strengthening the city dweller’s connection between both their natural and urban environment. Taking ownership of one’s locality promotes community, connection and pride.